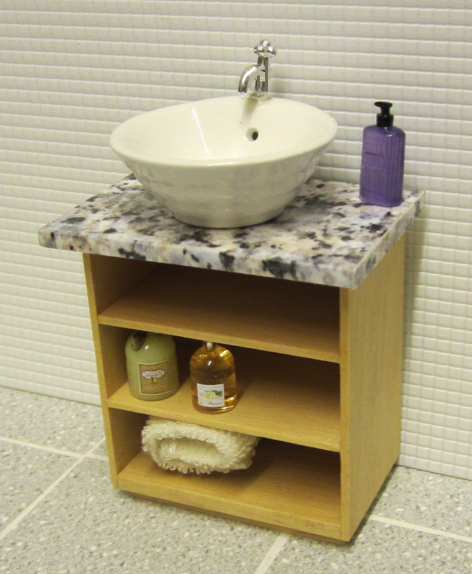 This compact vanity unit kit comprises an open shelf unit with a choice of tops (for tops, see here), supplied with or without a vanity bowl. 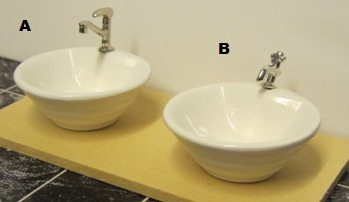 If you choose the option with bowl, please see below for choice of bowl. 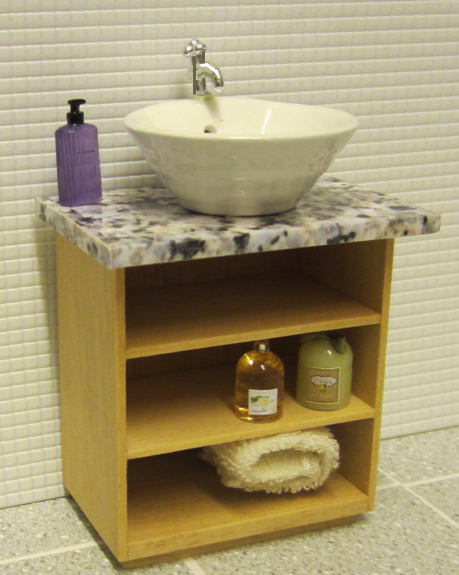 Alternatively, purchase the unit on its own, and add your own bowl and tap/faucet. 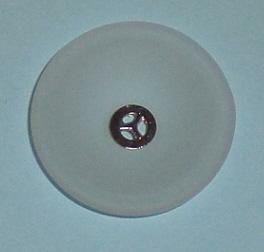 The unit is supplied in lightwood for finishing as you please - paint, hi-gloss, or one of the wood effect films. 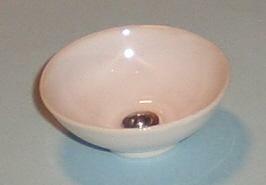 Measures 2 1/4" (5.8 cm) wide 1 1/2" (4cm) deep and appx 2 1/8" (5.5cm) tall, or 2 1/2" (6.5 cm) with bowl. 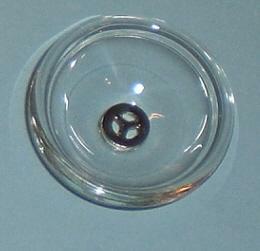 Shown ready-built, ths unit is supplied as a kit. Also available ready-built, see below.